VenuIQ is a powerful tool for all kinds of museums, galleries and visitor centres. The possibilities are limitless and you can build the app you want to suit your venue. Use the off-the-shelf packages to create an app that contains all the information a visitor might need or design a bespoke app build to match your brand and needs. 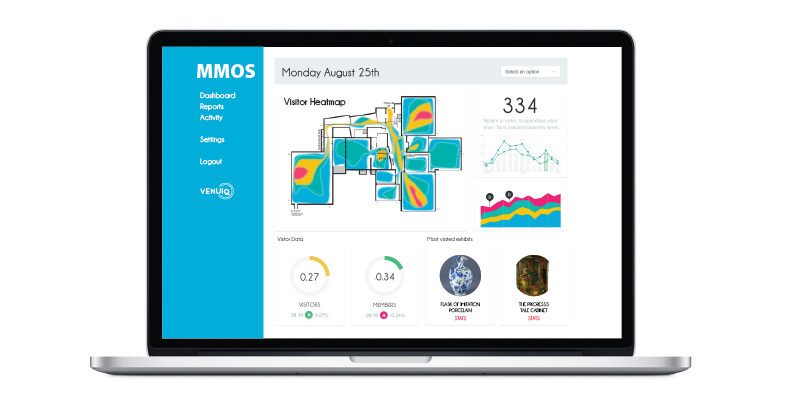 Anything you can think of based on location, your internal systems and customer interaction can be built and included into your unique app powered by VenuIQ. Below are just a few ideas of how VenuIQ could work for you. By planting Beacons beside each exhibit it triggers an action on your app. Guests could receive a commentary about those objects. a painting can be brought to life by actors telling Van Gogh’s tale of how he painted the sunflowers. 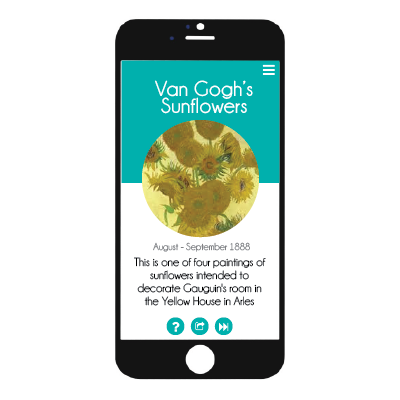 Alternatively a biography of Van Gogh could be displayed on the app screen or more detail on the viewed painting. If guests are particularly interested they could click through the app for more information on the location in the painting, the year it was painted, the life of the artist, etc. For more interactivity, the app could then guide viewers to try to replicate the painting themselves using a painting app and submit it to be displayed on a big screen elsewhere in the building. Or they might be asked to take a selfie of themselves and their face would be placed in a period costume similar to the painting viewed – this could be shared through social media or displayed online or on screens within the museum. 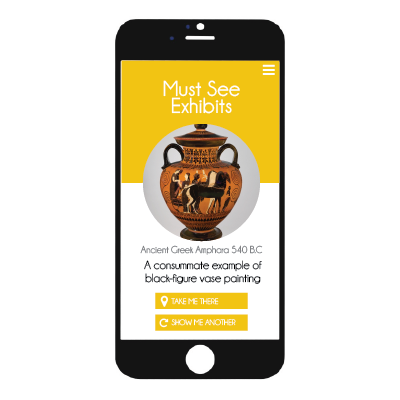 Visitors with a limited time could be prompted by the app at the beginning of their tour to take the Quick, normal, or deep and involved tours – each one timed to an hour, two hours or three hours and tracking a path through the museum to take in more or less of the objects on display, but guaranteeing that all key objects would be viewed. the path would be displayed on a map in the app and their present location would always be viewable along with a timer to show how long to the end. Visitors can often be lost in a large museum and feel overwhelmed by the amount of content on display. With a few quick prompts, we can guide them to the next item they’re most interested in or suggest a random object of the day they can visit that could take the pressure off a currently very popular other display. eg. a school party has descended on the Mona Lisa and sending more visitors there would make matters worse. 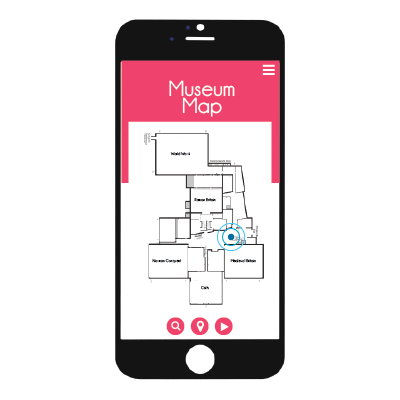 using heat maps to show where other visitors are, guests could make the decisions themselves, actively avoiding the busiest parts of your museum until they quieten down. By collecting data on where each person visits and how long for, we can divine useful information. People trails and wait times can reveal where log jams are occurring around your displays.